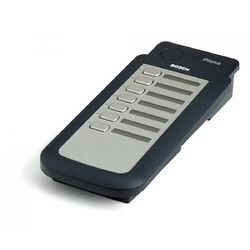 Leading Wholesale Supplier of lbb-1957 plena voice alarm keypad from New Delhi. In order to meet the diverse requirements of the customers, we supply an extensive range of LBB-1957 Plena Voice Alarm Keypad. This product is highly identified by in the industry for its low maintenance and long service life. Easy to use this product range is available in particular specifications. Our offered product is widely used in residential and commercial places.